Portland Bread Display - Cal-Mil Plastic Products Inc. 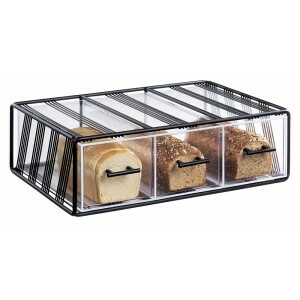 The Portland 3 section bread case is perfect for showcaseing loaves of bread and other baked goods! This features 3 separate pull out drawers, black handles and a sleek black metal frame.